Compression sleeves are a fantastic way to keep your muscles warm and to help prevent injury. If you have a body part that is already injured, compression sleeves are still an excellent way to provide comfort and support to said body part to prevent injury and pain and keep everything safe. Compression sleeves not only keep the muscles warm, they also enhance blood circulation to ensure faster recovery. 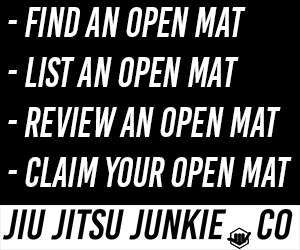 You can get compression sleeves for all different parts of the body; most commonly for the knees and elbows, which can take a beating inadvertently when either lifting weights or training BJJ and MMA. If you’re big on running and you like to hit the road regularly, it’s a good idea to play it safe and get a pair of calf compression sleeves. As the name suggests, these are compression sleeves that are crafted solely to provide support and stability to your calves and the front of your shins, etc. Shin splints and other associated running pain can be a huge problem when running and can even afflict people who are only walking. In fact, if you’re running for any significant amount of times, you will experience shin splints in some way or another. 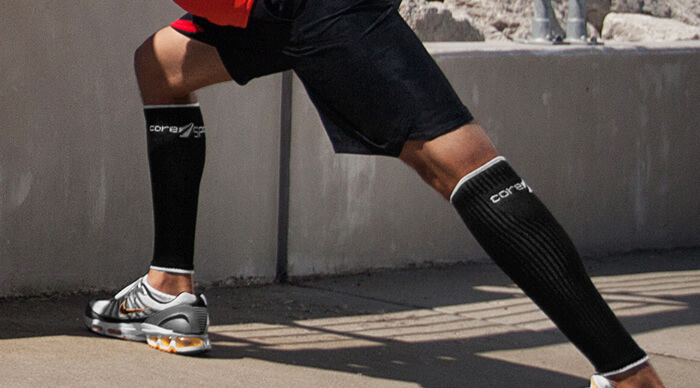 If you already have running pain and/or shin splints, compression sleeves for the calves can stop them in their tracks and allow you to jog pain free again. No matter how bad your shin splints are, calf sleeves can offer some respite to you. As I said, if you run enough you will experience pain or discomfort in your legs/shins so it’s a good idea to wear compression sleeves preemptively, to stop any serious pain or issues from arising in the first place. These are professional grade calf compression sleeves of the highest possible quality. These are the same kind of compression sleeves that would often be recommended by doctors and physiotherapists. MUSETECH have crafted these sleeves with premium quality, breathable and durable compression fabric. You can expect a comfortable and fresh experience when wearing these; no choking your legs with their tightness or being drowned in your own sweat. You have two colour options to choose from, either black or neon green, like you would see on a high-vis jacket. The neon green are a great choice if you like to run in the early morning or late at night when it’s dark. The extra visibility is a great safety feature when running in the dark. Blitzu state that their compression socks are the best on the market for preventing cramps and swelling, for both during exercise and after when you want to warm down and being recovery. They can even be used if you suffer from varicose veins to give you a much needed respite from the pain. They even claim that this is the number 1 recommended therapy sleeve on the market today. You can’t go wrong there. Blitzu differ from most other compression sleeve manufacturers in that they combine state-of-the-art kinesiology tape-like technology with traditional compression sleeve techniques to provide you with a new level of support and stability where you need it most. As the sleeves cover quite a large area of your legs, it’s important that you buy a sleeve that you actually like the look of. Physix Gear have a large collection of different styles to choose from though all are very stylish and modern, able to fit well with most modern sportswear that is out today. The sleeves are sturdy yet low-profile, allowing you wear them underneath over pieces of clothing seamlessly without any discomfort and without anyone being able to tell you’re wearing them. You can even wear them underneath your work clothes in the office to help aid recovery and provide pain relief. The moisture wicking technology means that they can rapidly air dry in only a few hours, so you can wear and wash the same pair of sleeves every single day without issue. Crucial Compression, as their name suggests, focus on compression sleeves and making their compression sleeves the best they can possibly be. The efforts aren’t diverted away to a hundred different types of products like most other companies, they’re all about their sleeves. This means that their sleeves are super-comfortable and extremely durable. You can wear these sleeves all day and every day without them being uncomfortable, irritating or too hot. They’re easy to slip on and off but once they’re on, they’re stuck firmly in place until you’re ready to take them off. No falling down or getting caught and snagged. You might even forget you’re wearing them, they’re that comfortable. Many compression sleeves are one-size fits all. This is normally fine for people of average height and body shape, but it can be a major problem when it comes to people who are shorter, taller, wider legged, etc. Luckily, BeVisible sell their compression sleeves in three distinct sizes so you can make sure that the sleeve you buy will fit you perfectly. You won’t have to worry about your blood supply any our calves being choked off because you’ve had to settle for an ill-fitting sleeve, nor will the sleeve fall down all the time. BeVisible have scientifically designed and tested their sleeves and crafted them with 14-23mmHg true graded compression to provide you the best support possible. Whether you currently suffer from pain and problems in your legs or not, it’s definitely worth your while to invest in a solid pair of compression sleeves. As I said before, leg pain is almost unavoidable when it comes to running and it’s only a matter of time before the issues arrive. Stop those issues in the track and prevent them from ever becoming a reality by using compression sleeves.